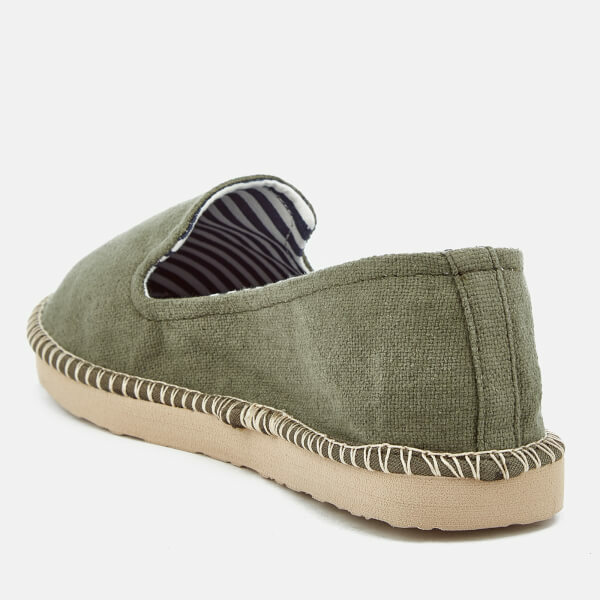 Women’s khaki espadrilles from Joules. 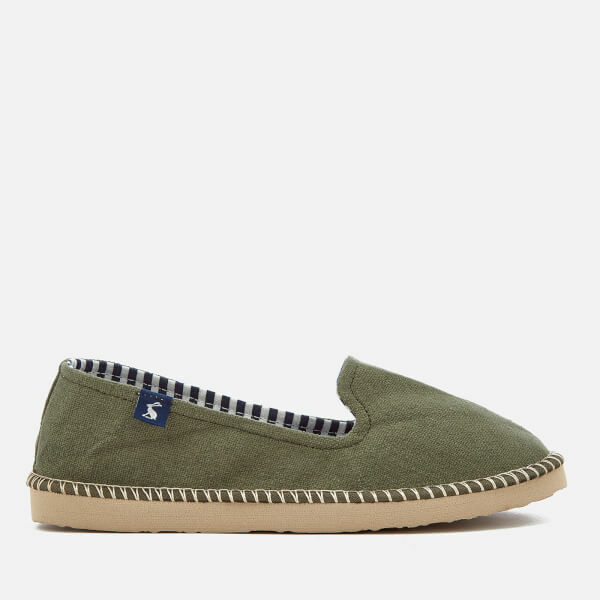 The ‘Flipadrille’ shoes comprise a slip-on style crafted from lightweight canvas and featuring signature contrasting stitch detail at the midsole. 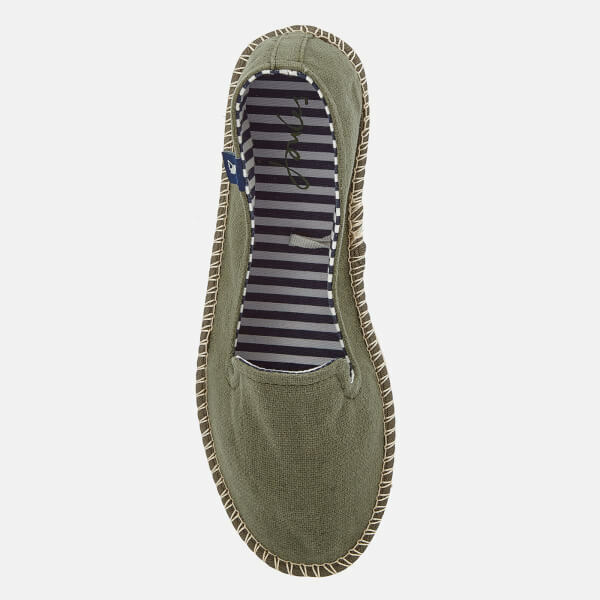 An EVA outsole offers superior comfort and support with each step. 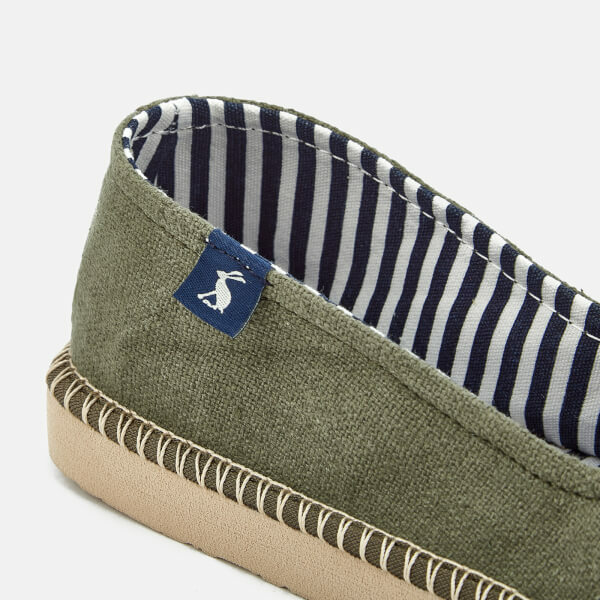 A logo tab showing the iconic hare logo provides the finishing touch.